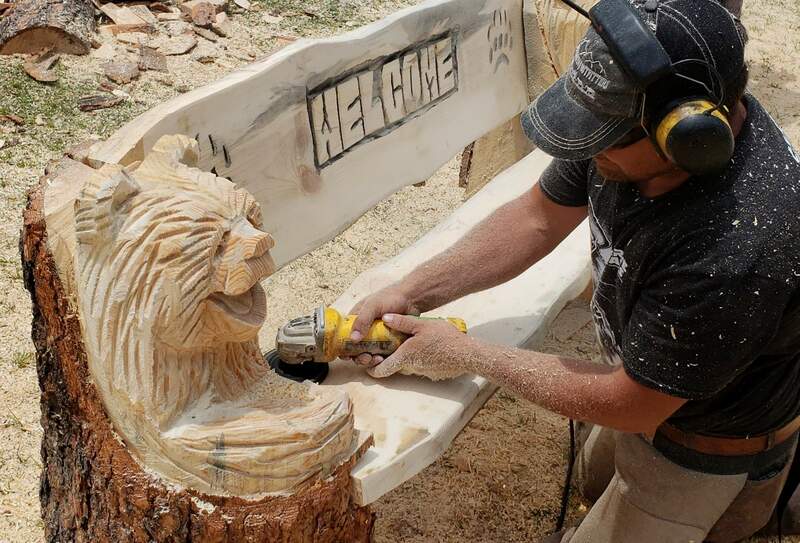 Travis Reed sculpts a bench during Carve Wars at Purgatory Resort on Saturday. He crafted the piece in an hour during a timed event. It was the first time Purgatory Resort has hosted the event. Joe Srholez participates in a timed event at Carve Wars on Saturday at Purgatory Resort. Seven artists competed in the two-day event. Joe Srholez was one of seven artists who competed in Carve Wars on Saturday. The artists each created three pieces over two days. Johnny Busby was one of seven people to compete in Carve Wars at Purgatory Resort on Saturday. 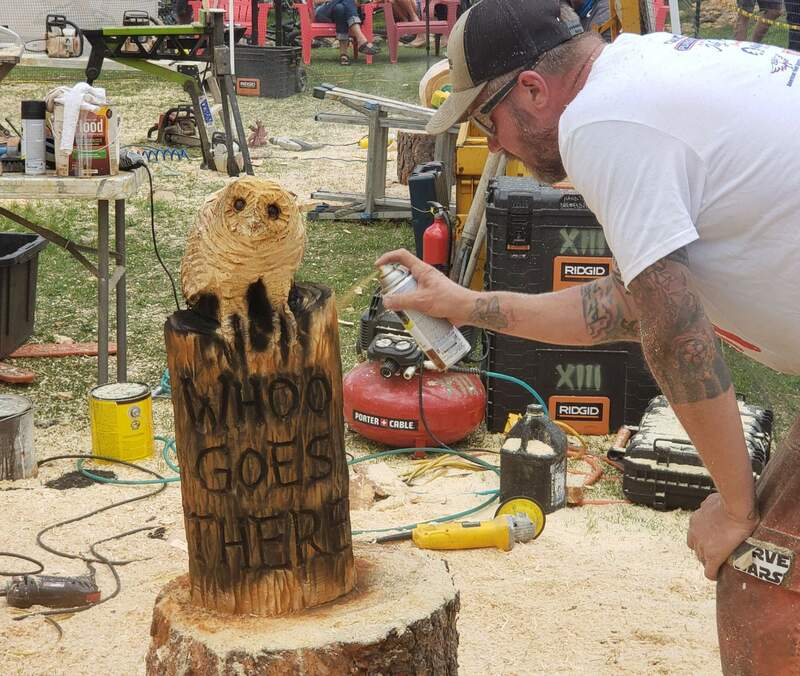 PURGATORY – Wood chips and the buzz of chain saws filled the air Saturday as seven competitors turned rough wood into art during Carve Wars at Purgatory Resort. After closing for a month during the 416 Fire, Purgatory was busy with locals and tourists on the Fourth of July weekend. Visitors were drawn in for the carving contest and other summer activities, including mountain biking, the alpine slide and ropes course, said Matthew Kritchman, Purgatory’s events manager. “People have been so excited to get back up here. ... We’re looking forward to a great summer,” he said. The two-day carving event drew eager spectators, who admired the speed of the contestants. During two timed events, bears, birds and a flower emerged from rough wood over the course of an hour. “It amazes me what these guys can do with a chain saw,” said Larry Bareis, a Hermosa resident. 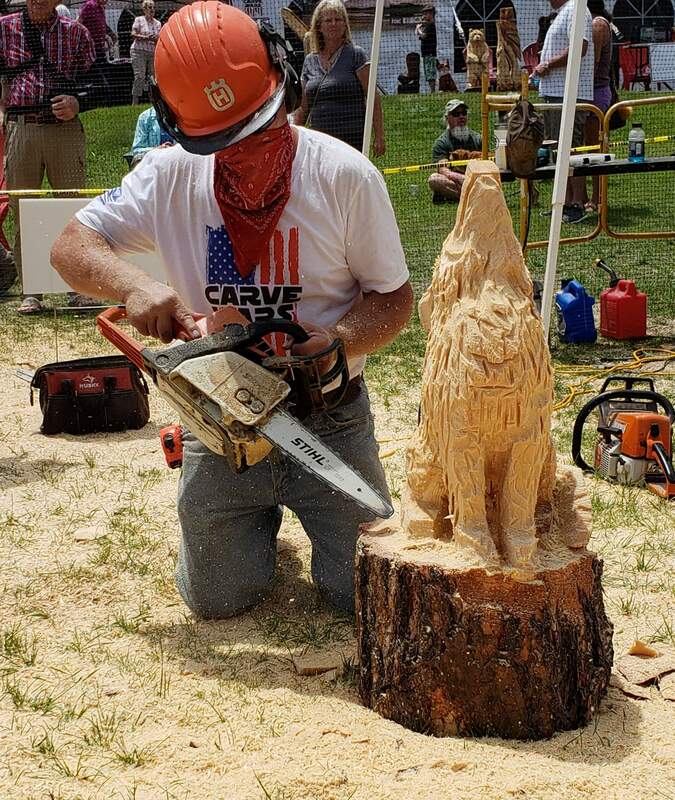 In addition to showcasing their speed, contestants also crafted one larger piece each, dubbed a “masterpiece.” All of the pieces are auctioned off at each carving festival, and profits are split between the artists and event organizers, Hagan said. Carve Wars spectators vote on the masterpieces to choose the winner of the event. Reed, the only local competitor, is the owner of Western Sky Outfitters, a company that provides guided hunting trips and horseback rides. Since it started June 1, the 416 Fire has consumed much of the area where the company normally takes customers, he said. 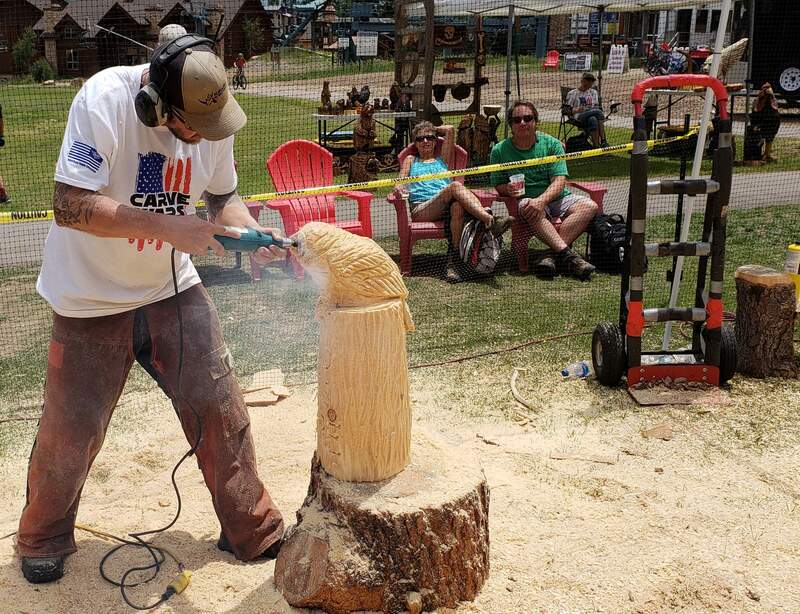 In recent weeks, he’s spent time sculpting at events, such as state and county fairs. But Saturday was the first time he’s ever participated in a local event. Carve Wars has a unique appeal compared with some of the more traditional events Purgatory hosts, such as music and beer festivals, and Kritchman expects it will be back next year.